Grand Champion BBQ UnderDAWGS - On to STATE! 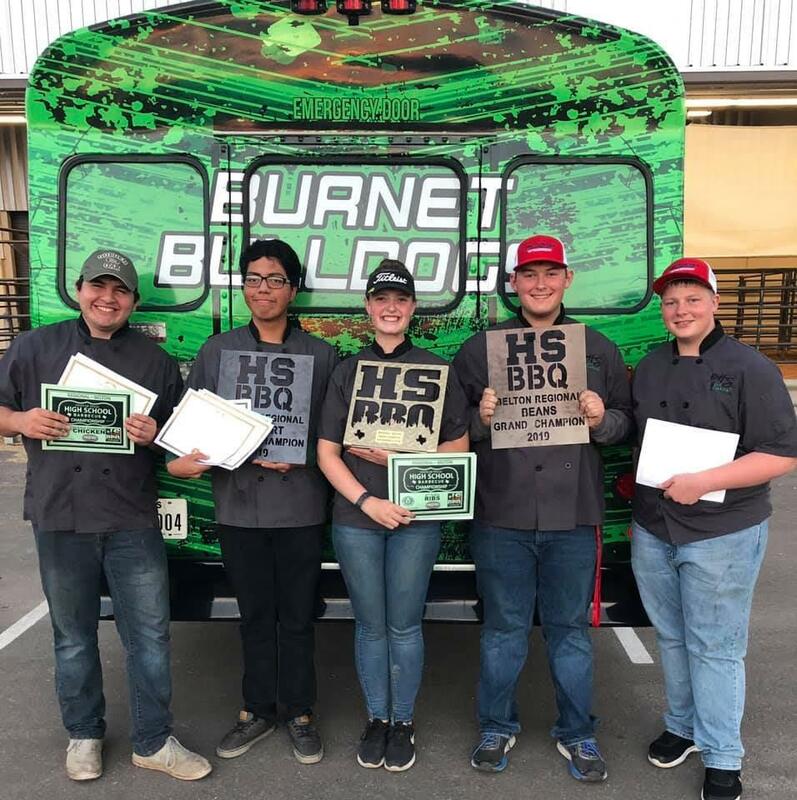 Congratulations to the BBQ UnderDAWGS Team for bringing home the gold at the State of Texas High School BBQ Championship Qualifier Competition. 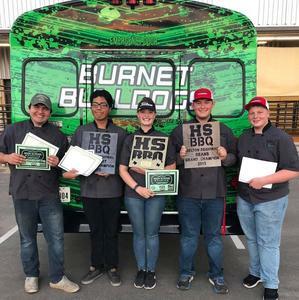 The team of five brought home $8,000 each in scholarships to the Escoffier School of Culinary Arts for a total of $40,000 and now will compete in the State Championship here in Burnet.